Tommy James has been the pianist and music director of the Duke Ellington Orchestra for the past nine years. Over the years Mr. James has worked with a wide ranging group of artists of many musical genres. 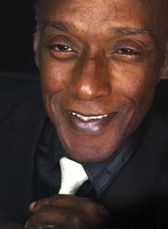 Among the outstanding artists and bands with whom he has performed and/or recorded with are The Duke Ellington Orchestra, Lionel Hampton, Joe Williams, Maureen McGovern, Cleo Laine/John Dankworth, Nell Carter, Marlena Shaw, Roy Ayers, Melba Moore, Manu Dibango, Billy Vera, The Spinners, and the Temptations. He has served as music director with the international tour of the Tony-award winning musical “Bring in ‘da Noise”. He has also been musical director for Dawn Lewis, Doc Powell, Bobbi Humphrey, and others. Tommy’s arrangements have been performed by the Ellington Orchestra, the New York Pops, the LA Philharmonic, the Buffalo Philharmonic, the Atlanta Symphony, and the Brooklyn Philharmonic.